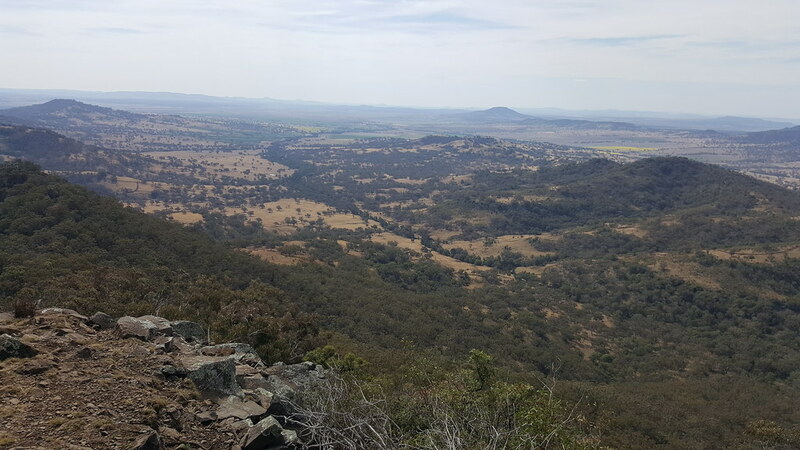 The Hidden Valley Classic mountain bike race at Coolah had always been an event I was interested in attending. Some friends had attended a couple of times in the past, and when some others from Church decided to make the trip west for the event – I decided to join up too. 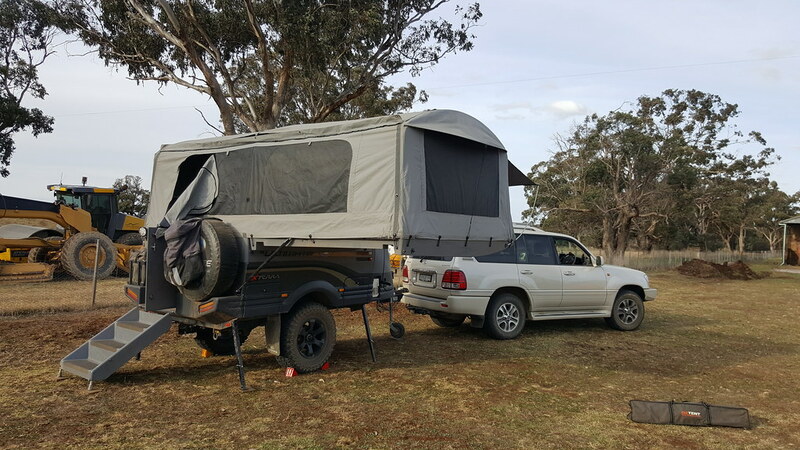 We had recently been to Coolah to stay on our friends farm and loved the area so was looking forward to getting back out there. Rach and the kids decided to stay at home for this one, so it was a solo trip for me. I left home fairly early on Saturday morning planning to arrive in Coolah and sample some delights from the local bakery for lunch. When I arrived it appeared that nearly everyone else had the same idea – and all of the Sydney folk I knew who had head up for the race, were also there doing the same thing. Pie thirst satisfied, we went for a drive up into the Coolah tops for a look around before coming back to the farm where we were planning to camp. Rob did his best to tempt me with an Ale before camp was set up, but rules are rules, and the camper was fully set up before any other thirst was quenched. Rob and Barbs were kind enough to feed us all with delicious burgers for dinner before a few of us went down to a pub in town to continue the pre-race hydration regime. We weren’t there late – half time in the rugby we headed home and to bed ready for an early rise before the race. It is probably true that the less we say about the race the better. It is also fair to say that this track is not for the underdone! I was planning to do the 60km, but after riding the first 5km, most of which was uphill, it was clear (to me at least) that 30km – one single lap, was going to be enough for me in my current state of fitness. That debate won, it was time to enjoy the tracks. Kevin has done an awesome job on these tracks, developing a whole 30km loop through the valley with plenty of variety to keep you alert. There’s no fire trail for relaxing – both mind and body are busy for the whole lap. Congrats to Chris (2nd – 90km), Ben (3rd – 90km), Ben (2nd – 60km) and all of the others in our group who did a great job. 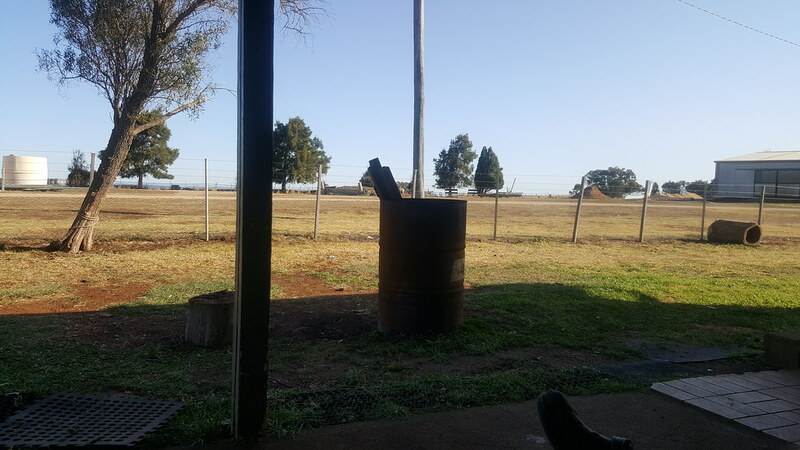 As I was flying solo I had made the decision to stay in Coolah for the Sunday evening – taking the opportunity to relax in such a great location. 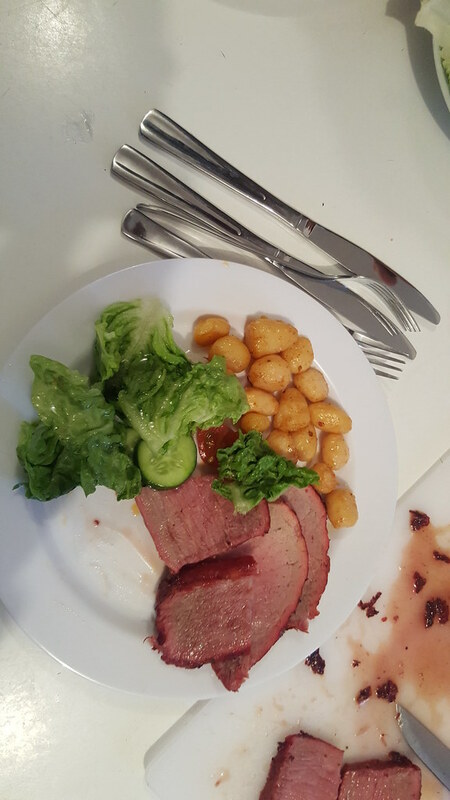 We enjoyed a nice beef roast, with some salad, and potato with smoked paprika. Gourmet! I discovered that evening that the battery in the camper wasn’t actually holding charge well. When I checked on Sunday evening it was showing that it was at 92% capacity, BUT, the fridge had cut off due to low voltage. Upon further investigation, I could see that the Redarc battery manager was only showing the battery at about 10.2 volts – well below the 12.7 I’d expect to see for a battery at nearly full charge. I’d need to look into this during the next week before we head off in the school holidays. An easy pack up on Monday morning, before stopping for another pie and heading back home. Thanks again everyone for making the weekend so enjoyable. If it is on, I’ll be back next year – hopefully with a few more kms in the legs to make a better effort! Pies consumed: 2 – plus a great roast beef!